Book today with Jamie for your Premium Private Tour of Hong Kong | an intense, unmatched local experience. Most popular Tour | the 6 hour Private Tour of Hong Kong. My premium private tours of Hong Kong are perfect for solo travellers coming to Hong Kong, over 15% of my guests are solo travellers and are generally using Hong Kong as a transit point to another exotic location or are in Hong Kong on business and fit in a tour between business meetings or book a night tour. I do private tours of Hong Kong from 3 | 8 hours during the day and 3 | 4 hour night tours and I can also do day | night tours for example from 2pm to 10pm. Generally as a solo traveller coming to Hong Kong the standard thing to do is to join a group tour full of like minded solo travellers or a free city tour with 30 other people but there is another option | book a premium, private tour with Jamie and I promise you an intense and unmatched local experience. A Solo Traveller on one of Jamie's Premium Private Tours of Hong Kong | just you and me and NO maps! 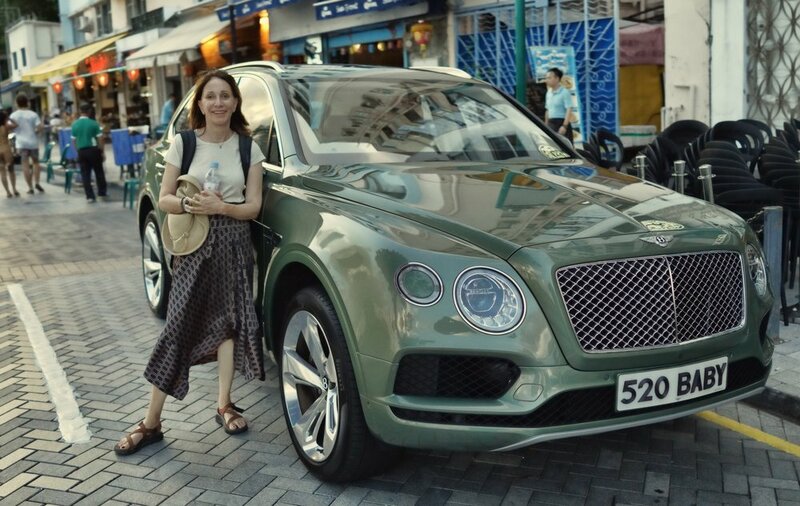 ... and no, I do not do car tours in this gorgeous Bentley SUV!